Vintage Old Real Photo Photograph Photographic Postcard, Palestine Israel, Middle East. Holy Land. Ethnic Life. 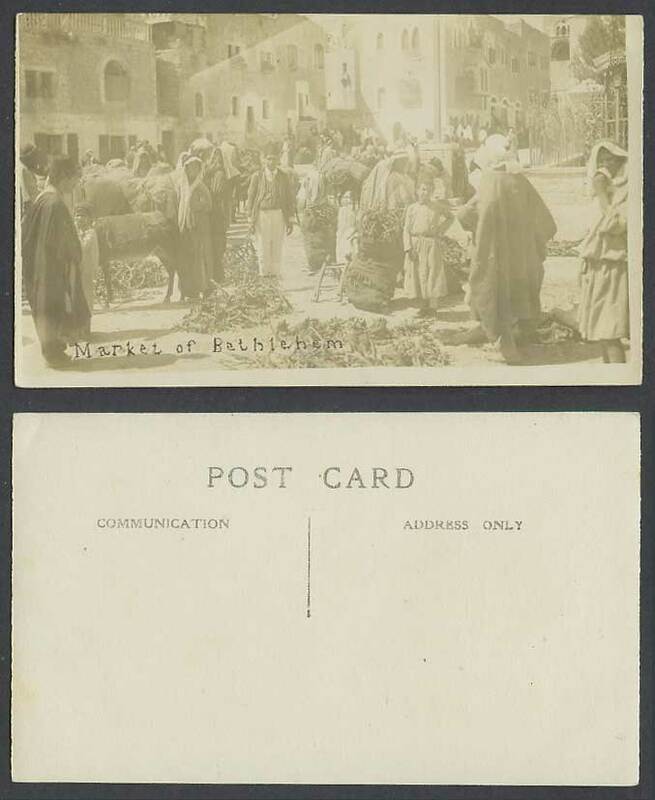 Marche de Bethleem, Market of Bethlehem. Native Market Street Scene. Donkey. Sellers Vendors Merchants. Men Women Boy. 13.7cm x 8.2cm.